Non Return Damper manufacturer supplier Dubai UAE, Pressure Relief Damper UAE. 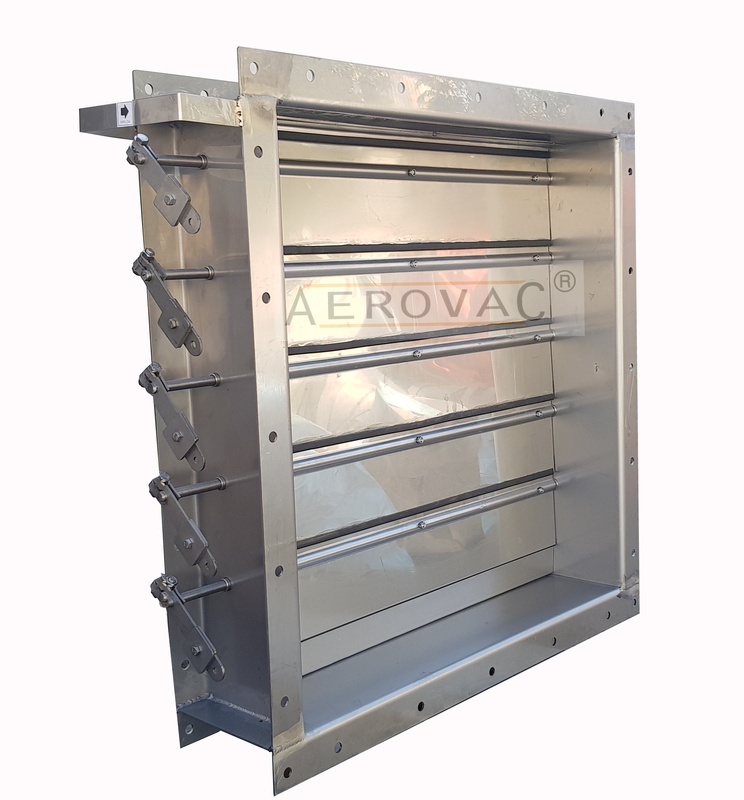 AEROVAC Non-Return Dampers are designed for automatic shutoff & prevent unwanted airflows against the intended airflow direction when the system is not in operation of Individual sections of the air conditioning system. With the fan running, the degree of blade opening is a function of air velocity. If the fan is turned off, the blade will close automatically. In a multi-fan installation system, this prevents back draught through the non-operating fan. NRD provides backdraft protection in light to medium duty applications that demand less than 12 cm per square foot of leakage at 1/2 inch WG. NRD provides system relief when operational pressures exceed system defined maximum levels. 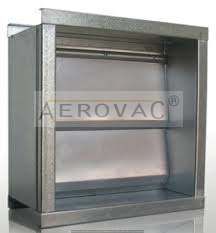 Pressure-relief dampers are used to prevent backflow through the ventilation ductwork system. 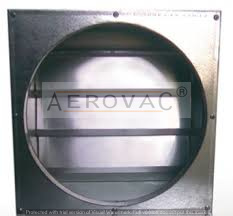 The Aerovac pressure relief dampers do not need an actuator or motor. Designed to maintain a constant air pressure level inside pressurized rooms. The blades are smooth, reliable and designed for energy saving. 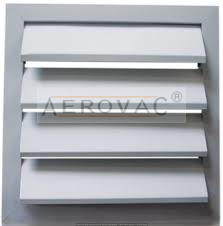 These are air operated, opening or closing dampers for intake, discharge and pressure relief vents in air conditioning. The dampers can be installed in rectangular or circular ducts horizontally or vertically. Opening pressure can easily be set by adjusting the weight of each damper/ installation. Weights are included in the delivery. Pressure relief dampers can be supplied with non-standard dimensions on request. Smooth and maintenance free blade operation. The frame is manufactured from high-quality aluminum / galvanized sheet steel. Blades are made of aluminium or galvanized steel. Blades are fitted with nylon/brass bushes for rattle free and smooth operation. Blades are sealed with foam/rubber gasket at the bottom to avoid rattling noise and provide airtight operation. The frame is fitted with an aluminum strip to prevent the over movement of the blades. Additional center partition shall be provided if height or length is more than 900 MM.